Okay, okay, I know I am waaaaaay behind on jumping onto the cookie butter bandwagon, but it isn't my fault! It turns out it is super hard to come by delicious products like that when you're residing on a tiny island, but I finally did in my local Target one day last week. Because I'd never tasted it before, that was literally the first thing I did after I brought it home from the store. Is that terrible of me or what? 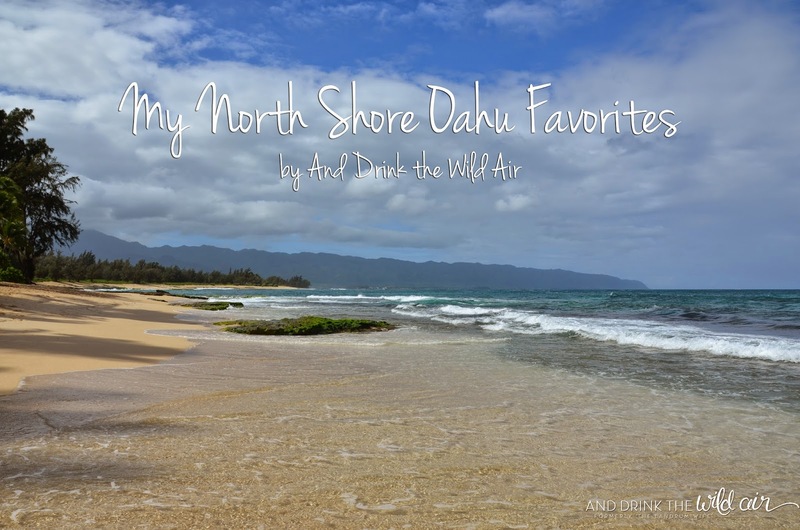 But I had to experience it, and I am happy to report that I loved it! After coming down off my initial cookie spread high, I started thinking about what exactly I could do with the rest of the spread that was taunting me in the jar (rather than stuff it in all my face). 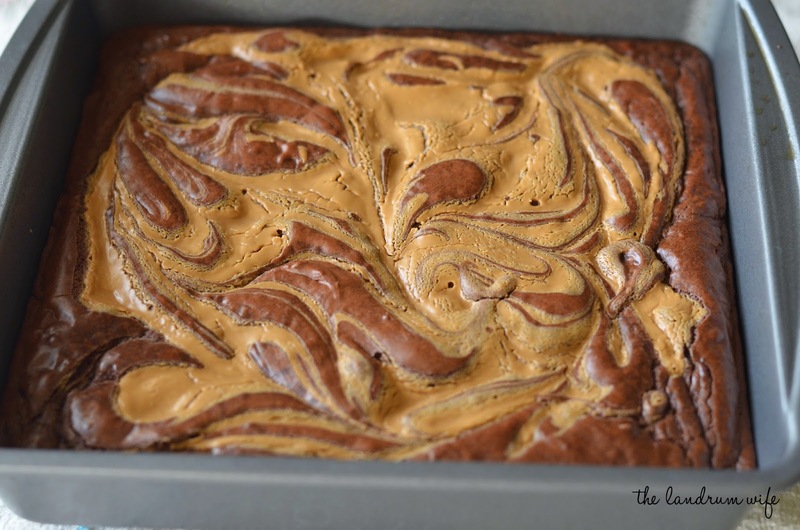 I thought about how Mr. L's most favorite dessert in the world is a pan of deliciously fudgy, chocolate brownies, and it hit me -- I should make some cookie butter brownies! 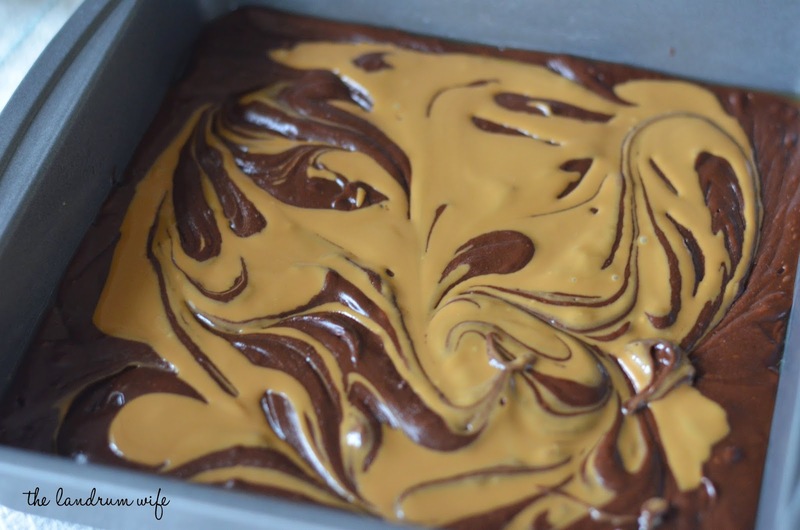 I've always been a fan of marbled cheesecake brownies, so I figured instead of using cheesecake, I'd use a little melted Biscoff spread instead. Holy moly, you guys. 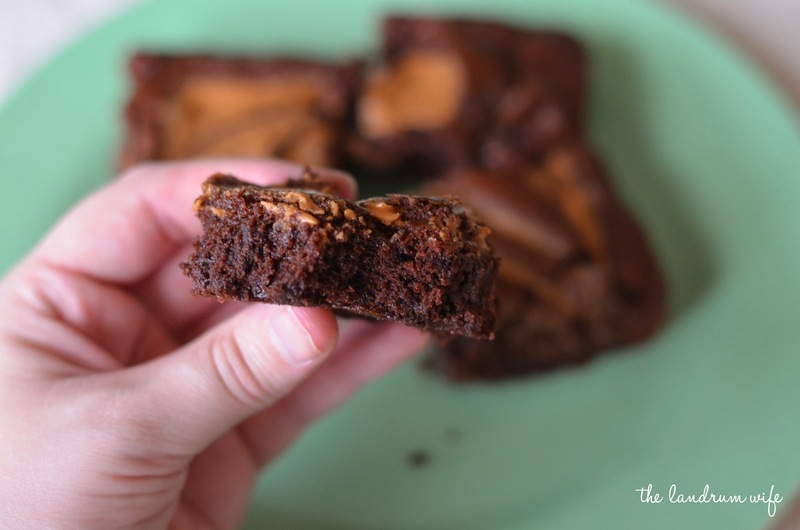 These brownies were rich, dense, and above all fudgy! 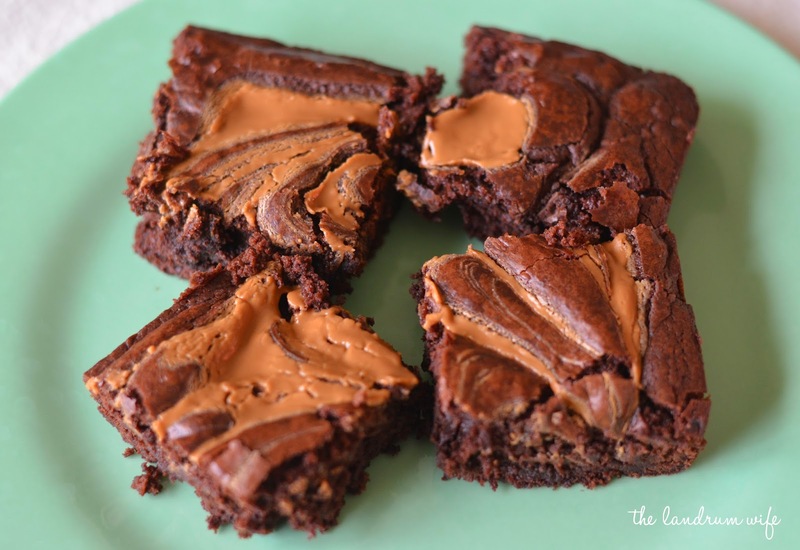 These are the kind of brownies that you absolutely must eat with a tall, cold glass of milk. I knew it would be very unwise for me to keep all these brownies around, so I basically forced them on Mr. L to take to work. He said they were devoured almost instantaneously, but I could tell he was sad we gave the majority of them away haha. 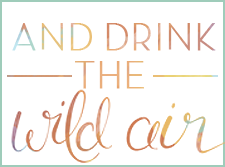 Be sure to check out the recipe below and make them for yourselves! Preheat your oven to 325 degrees and grease an 8x8 baking pan. 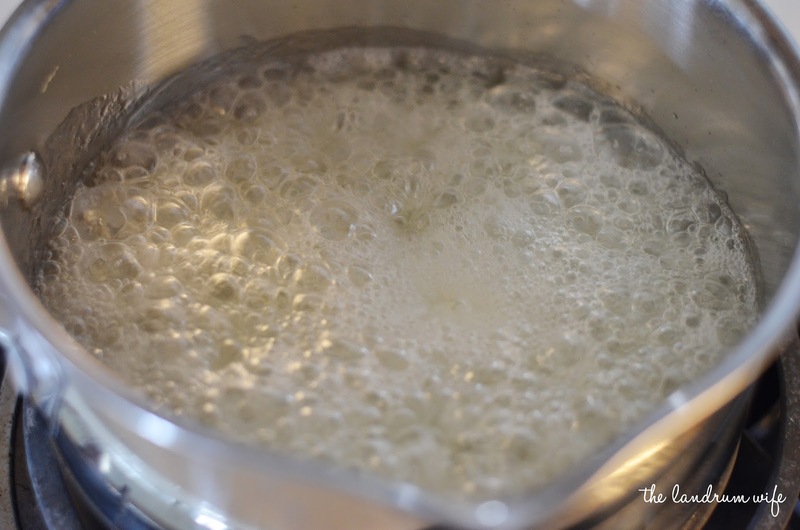 In a medium saucepan, combine the sugar, butter, and water and cook over medium heat until it comes to a boil. 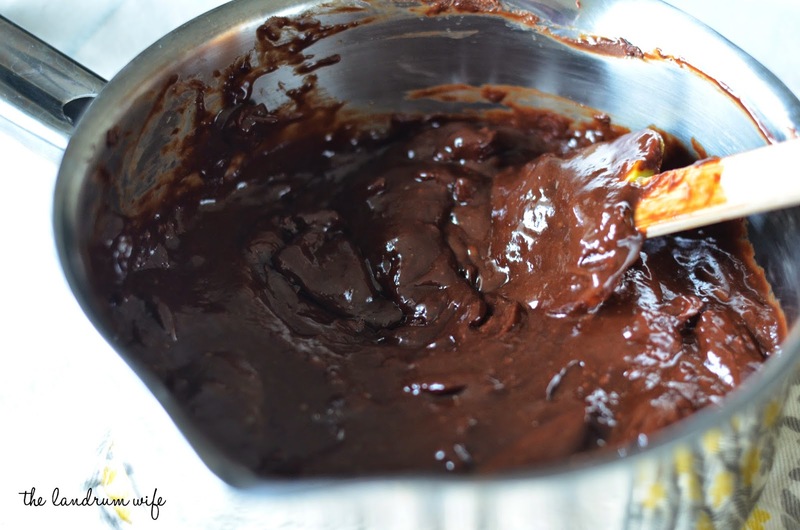 Remove from heat and stir in chocolate chips until melted and smooth. 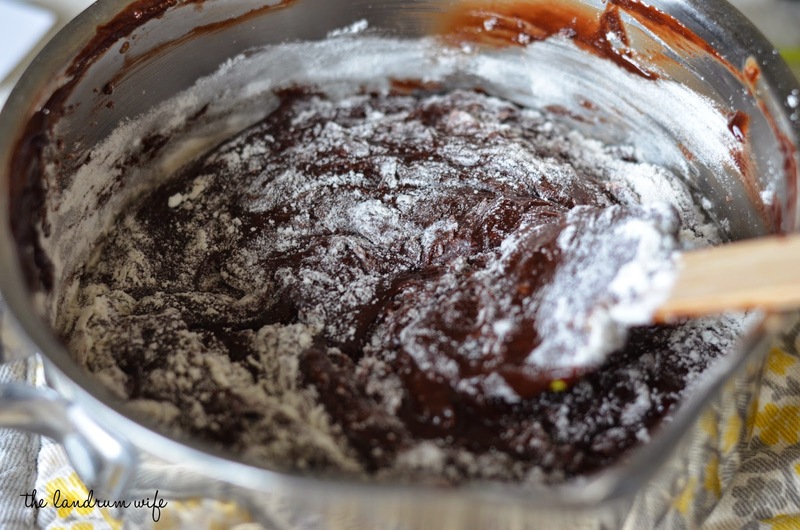 Combine the flour, baking soda, and salt and then stir into the chocolate mixture. Spread the mixture evenly into the greased pan. Heat the 1/4 cup of cookie butter in a microwave for about 20 seconds or so until runny and able to be easily spread. 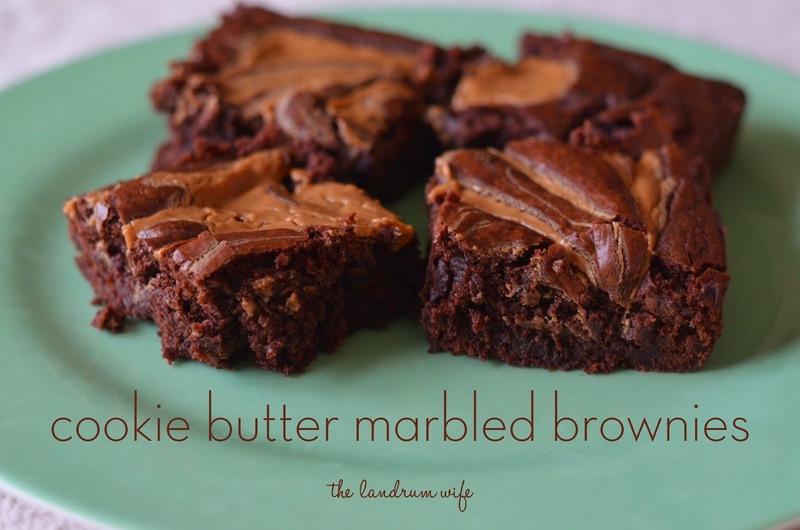 Drop the cookie butter by spoonfuls into the brownie batter and marble with a butter knife while being careful to not overmix. 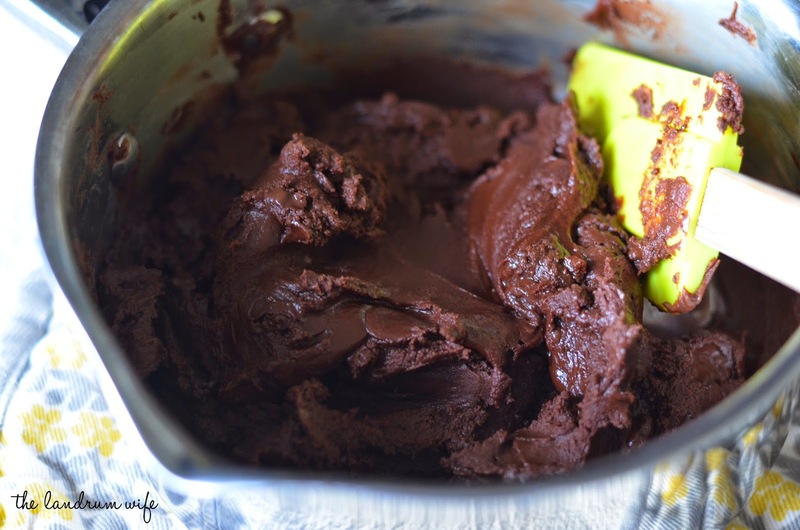 Bake for 25 to 30 minutes or until the brownies are set. Cool in the pan and cut into squares. Serve with a cold glass of milk and enjoy!